Home Exchange Server Exchange Online Disable anonymous calendar sharing in Office 365 Admin Center and PowerShell. 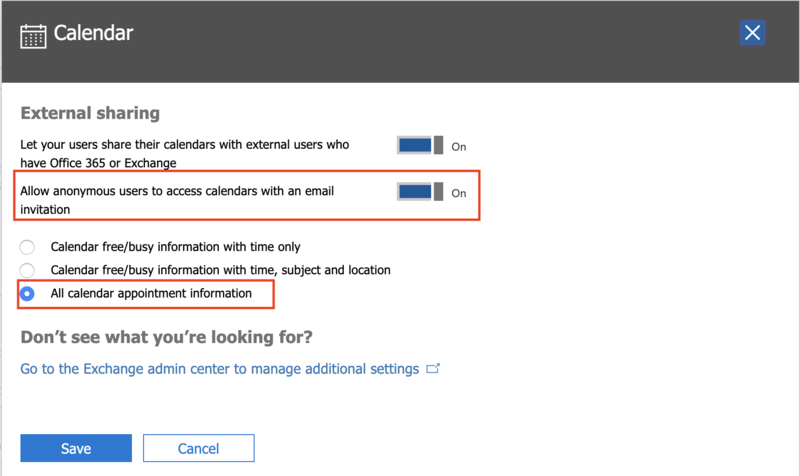 During this post, we will run down on how to disable anonymous calendar sharing in Office 365. By default, anonymous calendar sharing is enabled, as an Office 365 admin can you decide what kind of information your user share externally. With Anonymous calendar sharing enabled the following can be set. As you can see from the calendar settings Anonymous calendar sharing is enabled by default with All calendar appointment information being shared enabled. To disabled Anonymous calendar sharing, click on the slider “Allow anonymous users to access calendars with an email invitation”, by moving the slider this setting will be disabled. Once done click on save to complete the process. 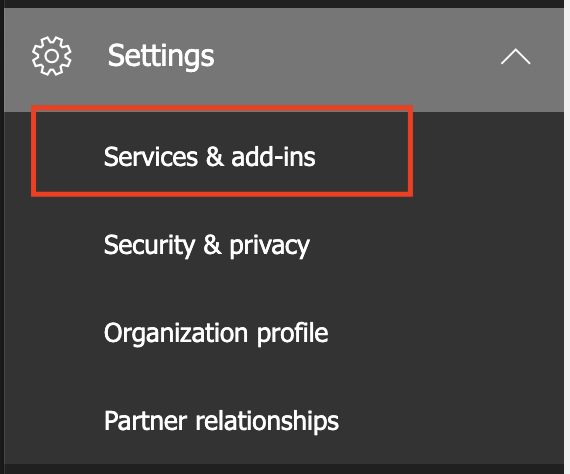 To get started a connection to Office 365 should be established , once connected run the following to list the default sharing policy. As we can see from the settings below, Anonymous calendar sharing is enabled. Run your run the cmdlet Set-SharingPolicy you will receive the following error. To move forward, run the following cmdlet. Now that we have enabled the Exchange Online organization for customization, we will now be allowed to run the Set-SharingPolicy. To remove anonymous sharing run the following. Once done, run the following to verify that anonymous is no longer listed. You can also verify from the Office 365 admin center > settings > Calendar settings page that Anonymous has been disabled.